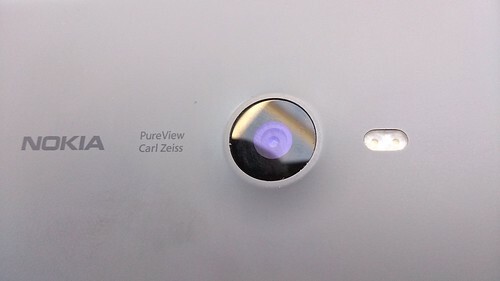 Photo of excellent Lumia 925 camera by @topgold. NOKIA PLANS TO SELL its Devices & Services business as well as patent licensing to Microsoft for €5.4 billion. This effectively means the clever Finnish technology I've used since the late 90s is now destined to connect deeply inside the Redmond campus. The transaction gives Microsoft the low end (Series 40) and and high end (Smart Devices like Windows Phone) business units. Microsoft also gets Nokia's design team, operations including all Nokia Devices & Services production facilities, Devices & Services-related sales and marketing activities, and related support functions. This business decision affects nearly 32,000 people who will effectively become Microsoft employees, including approximately 4,700 people in Finland. Globally, Nokia's 15.8% market share is almost twice as large as Apple's. Although many observers I read may not agree, I don't believe Microsoft's dominating influence will erode that global market share. Time will tell. 1. Rafe Blandford -- "Microsoft to acquire Nokia's Devices and Services Business" on All About Windows Phone, September 3, 2013. 2. Ewan Spence -- "Windows Phone Market Share Up Around the World But American Sales Still Weak" on Forbes, September 2, 2013. 3. Zach Epstein -- "Mobile Market Share Q2 2013" on Boy Genius Report, July 21, 2013. 4. Alex Wagner -- "Microsoft Agrees to Acquire Nokia's Devices including Lumia Brand" on PhoneDog, September 2, 2013.